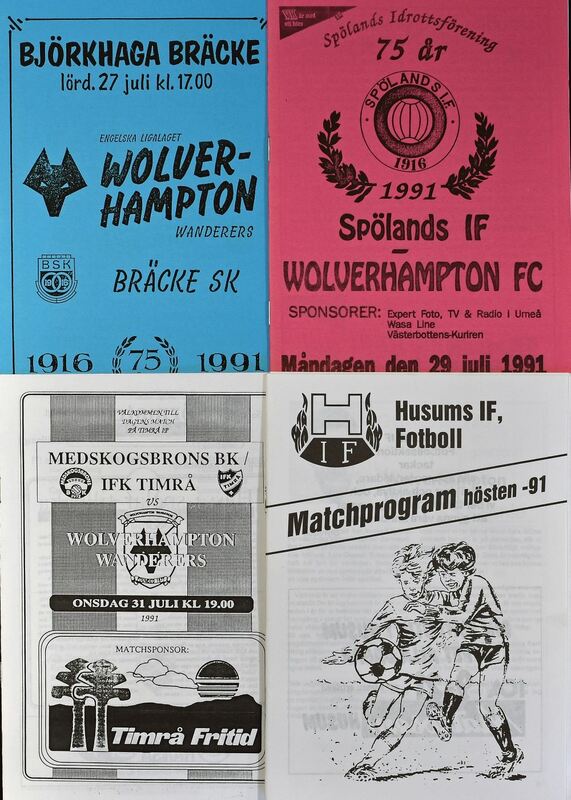 1991 Wolves tour of Sweden away match programmes v Husums If, IFK Timra, Spolands IF (& tickets), Bracke SK (& ticket). Good. 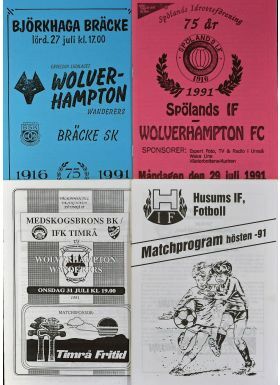 (4) + tickets.